After our long, cold winter, it seems fitting that Easter comes late this spring, not until April 21. By then, the ugly snow piles should be a distant memory and the green grass should be ready for mowing. Spring will be in full bloom, fulfilling God’s annual promise to bring renewal and rebirth to His good world. In the same way, and with infinitely greater significance, God fulfilled His promise to send us a Savior who would die and rise again. Believing that Jesus rose from the dead is the centerpiece of our faith. He walked out of His own tomb and left behind His burial cloths as evidence that He was once dead but now lives forever. We believe the story. We believe it actually happened, just as we believe that the sun will rise tomorrow just as it did today. We believe, not because we were there to witness it or have seen Him with our own eyes, but because we experience His living presence in our hearts and witness it in the people around us. Jesus is alive and His Spirit dwells within us. We know it’s true, just as we know spring follows winter. We believe the Easter story, and it makes us who we are. If not, we are fools who worship a dead man. If not, we are deceived and spread a worthless deception to others. If Jesus didn’t rise, then, as Paul wrote, “we are of all people most to be pitied” (1 Cor. 15:19). Believing in Jesus’ resurrection also gives us an unshakeable hope for our own eternal future. Jesus rose, and so will we. Jesus overcame the grave, and so will we. Jesus lives forever, and so will we. 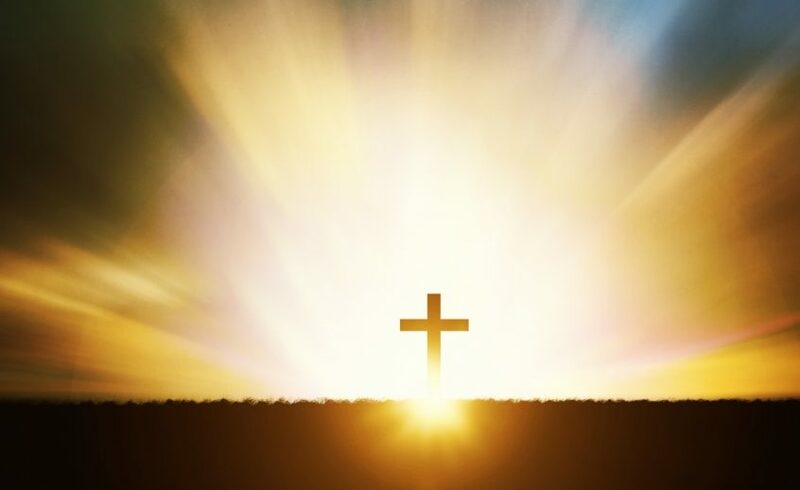 In the midst of our ever-darkening culture and its ever-growing doubts about all things spiritual and divine, we hold fast to the truth of Jesus’ resurrection and the hope of everlasting life in His name. We believe it in our hearts, and we share this story publicly. Like every generation of Jesus’ followers, from Paul’s time until now, we boldly proclaim the centerpiece of our faith, calling those who are lost in sin to be found in the grace of God. Jesus still offers forgiveness and new life to all who come to Him in faith. I hope you will set aside time in the coming weeks to rejoice in God’s grace as you remember Jesus’ death and resurrection. And I hope you will find opportunities to tell His story. Maybe a door will even open for you to invite someone you care about to join us for worship. I also want to encourage you to join with our local Covenant brothers and sisters during Holy Week. First Covenant is inviting the people of Broadway and Bethesda to join them for a Maundy Thursday dinner and worship service, April 18 at 5:30 p.m. (Broadway will host the Maundy Thursday service again next year.) Bethesda’s Community Good Friday Service will be April 19 at noon. These are wonderful opportunities to build unity with our larger Covenant family as we celebrate our shared faith in what Jesus has done for us.